Does Viet Nam really need or even want ODA? Queries about the future of Official Development Assistance (ODA) were raised at a press conference called by the Japan International Co-operation Agency (JICA) last month. The doubts follow a scandal involving a Japanese Company known as JTC and the Ha Noi Urban Railway Project. The work was financed by ODA. One of the questions asked was whether Japan would continue to provide Viet Nam with ODA. "However, the question we should all be asking is not whether Japan will continue ODA but rather when Viet Nam will become independent of ODA," said a JICA representative. It was a thought-provoking reply. 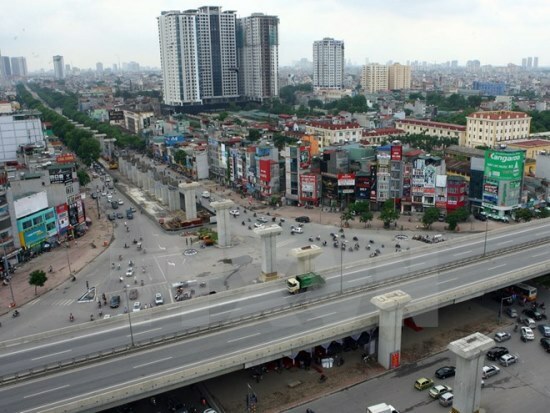 Since 1993, total ODA committed to Viet Nam has reached around US$80 billion, of which about $37.6 billion has been disbursed, mainly invested in the development of the country's infrastructure. It is aimed at speeding up socio-economic development and reducing poverty. Many ODA-funded projects have greatly contributed to Viet Nam's national development, including the Nhat Tan Bridge, Terminal 2 at Noi Bai International Airport and the My Thuan Bridge. However, in recent years lawmakers and economic experts have realised that ODA has its shortcomings, particularly in the numerous restrictions laid down by donor countries. These often state that recipient countries must employ contractors and technologies designated by the donors. This practice has led to numerous problems for recipient countries, such as occasional incompatibility with newly introduced technologies and increased pressure on public debt because ODA has to be repaid. Questions are also often asked about the effectiveness of ODA projects, especially when recipient countries lack the capability to efficiently manage and utilise the projects. Mismanaged ODA-funded projects and corruption scandals have dented public trust about how this source of funding is being utilised by localities. The Government is being pushed to come up with better ways to control the use of ODA for infrastructure development. Earlier this month, Prime Minister Nguyen Tan Dung ordered authorities in central Quang Binh Province to explain why they were implementing two energy projects simultaneously. One was a solar energy project funded with $14 million of ODA from South Korea. The other was funded with $17.35 million from the State budget. Once finished, they will both cover the same areas. Corruption is not uncommon among ODA-funded projects. Last month, Korean news agency Yonhap said several high-ranking executives from Korea-based POSCO E&C would face investigation after it was found that a slush fund of $8.8 million had been used to make exaggerated payments to sub-contractors from 2009-2012. And just last week, the World Bank (WB) debarred the America-based Louis Berger Group for one year for engaging in corrupt practices relating to two WB-financed projects in Viet Nam. It is accepted thinking in many localities that ODA is always a good thing and you can't have too much of it. Unfortunately, that's not always the case, noted National Assembly (NA) Deputy Le Thi Nga at a recent NA meeting. ODA comes as long-term, low-interest rate loans advanced to developing countries. It always has to be paid back, with interest. From accounting perspectives, this actually makes it a liability and it must be treated as such to avoid negative consequences on the socio-economic system. This is especially true when grace periods for ODA-funded projects end and the money has to be paid back! The global debt clock on website economist.com indicates Viet Nam's public debt has reached $88 billion level equal to 46.6 of Gross Domestic Product (GDP). This means that every citizen owes $975. On top of this, the grace periods of numerous ODA-funded projects already expired or are about to expire, meaning the country will have to allocate a larger portion of its GDP to ODA. More money spent on paying public debt in the future means less money left to spend on other important issues, such as health care, education, social welfare and environment protection in the future. Because of this, the misconceptions and mismanagement of ODA among localities deserves greater attention. It's time for them to consider it as money "borrowed from the future" and as such, the more we spend today, the less our children will have. Measures must be taken to improve control and effectiveness of ODA funding to avoid waste, corruption and mismanagement. After more than 20 years of ODA, it is time for Viet Nam to learn how and when to say no! The new Law on Public Investment, effective January 1 this year, was among the latest initiatives taken by the Government to address ongoing problems with public investment projects, ODA-funded projects included. The Da Nang Maritime Administration startled people last month when it announced that Phase II of the Tien Sa Port Expansion would not require any ODA finance, despite a formal request from the Da Nang City authority to include the project among the list of recipients.